There have been brilliant movies about the Muslim quandary in a tentatively free India. ALMOST all my friends have praised Mulk (country) as a bold movie. I am still debating its purpose. The youngest nephew of Muslim patriarch Murad Ali Mohammed of a Benares neighbourhood gets involved in a bomb blast massacre. Friendly Hindu neighbours turn against the family, which has to prove they are not anti-nationals. Deep-seated communalism precedes terrorism by centuries though. Sample Bhushan Kavi’s poisonous poetry. A Muslim actress has reported being denied a house she wanted to buy in Mumbai because of her name. The phenomenon is widespread. On the face of it, the movie would seem to be about Hindu-Muslim trust in an Indian neighbourhood. On the other hand, the story could be about a dormant pre-existing bias that Nehru refers to, but which erroneously passes for trust because of facile bonhomie in the neighbourhood. The act of terror destroys the happy accord when the boy blows up a bus and TV takes over the narrative. A Muslim police officer shoots the boy when he could have arrested him, and charges his father for complicity. This angle of a Muslim police officer trying to be more loyal than the king is an interesting perspective that bears resemblance to an unacknowledged reality. So, which one is it? Has trust gone bust, as sought to be portrayed in the movie, or is it lingering mistrust flaring up, as revealed by the easily ruptured wafer-thin pleasantries indulged in by the Hindu neighbours? Another interesting departure from usual fare is that a Hindu daughter-in-law in the family, a lawyer, defends the boy’s innocent father, accused as a conspirator. The audience in the courtroom applauds every time the markedly communal public prosecutor makes a barb loaded with anti-Muslim innuendo. Go back to Nehru’s missive here. The accusations are too insulting for the father who dies in custody. In the end, however, the dead father is declared innocent by the judge, due largely to the impressive court craft of the Hindu daughter-in-law. The audience is slammed for their blinkered view about Muslims. The neighbours look apologetic at the sound of the judge’s gavel. There have been brilliant movies about the Muslim quandary in a tentatively free India. The ones one can remember are Garam Hawa by M.S. Sathyu, Mammo by Shyam Benegal, Naseem by Saeed Mirza and Shahid by Hansal Mehta. There could be others but the four mentioned here were delicate movies with their unmistakably powerful, secular message, and they had a very clear context each to set their stories in. It was the trauma of partition in Garam Hawa and a variation on it in Mammo. It was the destruction of the Babri Masjid that was critiqued in Naseem as the unmaking of Nehruvian Indian. And it was the murder of a Muslim lawyer by Hindu fanatics, who defends innocent men jailed falsely for terrorism in Shahid, which, like Mulk, was based on a true story. There was one more. Perhaps a truly seminal film on the Muslim mess in India was Dharmaputra with an unapologetic assault on Hindutva and its deeply worrying mindset as early as 1961. The B.R. Chopra movie was safely released in Nehru’s times, and quite likely would incur a risk if shown today. It was the most damning critique in any feature film of the Sangh’s bigotry and their anti-Muslim fanaticism. Shashi Kapoor, uncle of Rishi Kapoor (who plays the lead role of the Muslim patriarch in Mulk), acted the role of the unwanted son of a Muslim couple separated by Partition and raised by their Hindu doctor friend and his wife. Kapoor ends up as a Muslim-hating Hindutva bigot. The brilliant movie, which is kept away from public discussion for obvious reasons, was directed by Yash Chopra. Both the Chopra brothers were refugees from Lahore and they have contributed hugely to the survival of secularism in the cultural ethos of India. 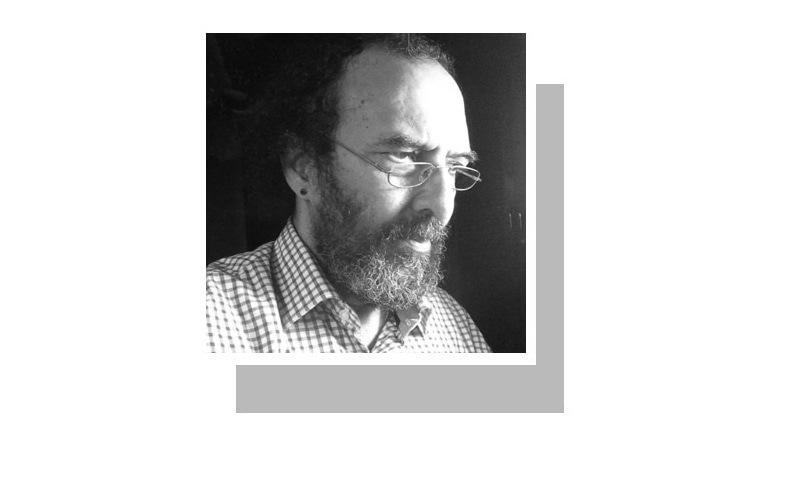 The problem with Mulk is that it sends out a misleading message — that had it not been for a deviant act of terrorism, any Muslim family could live peacefully in the protection of their idyllic Hindu neighbours. Why is there no reference to the fascist state the country is becoming? Why did the boy become a terrorist? Why was the young man, the young terrorist, angry? No jobs? Police atrocities? Ayodhya? Gujarat? Kashmir? Or did he have messianic visions of leading his people to impossible victory? Or was it to win brownie points in the next life? Each one of those questions can be turned into a movie. Hamlet-like Haider, for example, in the Kashmiri context was a bold and honest movie. The director of Mulk, too has his heart in the right place, as do a surfeit of well-meaning intellectuals and laymen analysing the problems dogging the mulk. However, one such well-meaning person had said: “When I fed the hungry, they called me a saint. When I asked why the people were hungry, they branded me a communist.” Asking the second question could have made Mulk a more agreeable movie.